There’s something about the pitter-patter rhythm of raindrops on glass and the cooler temperatures that impels you to fill your tummy with something warm. 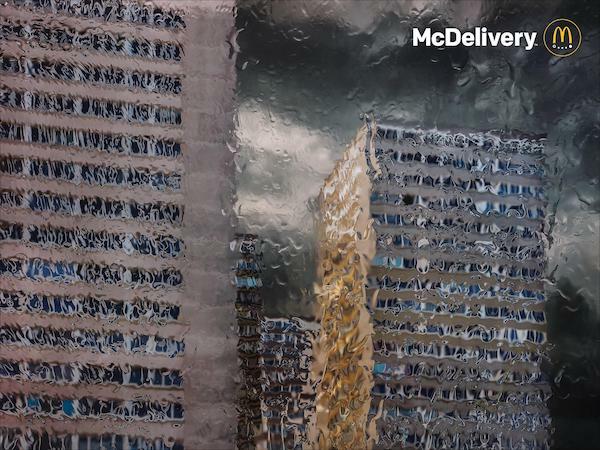 McDonald’s has just the solution: McDelivery. 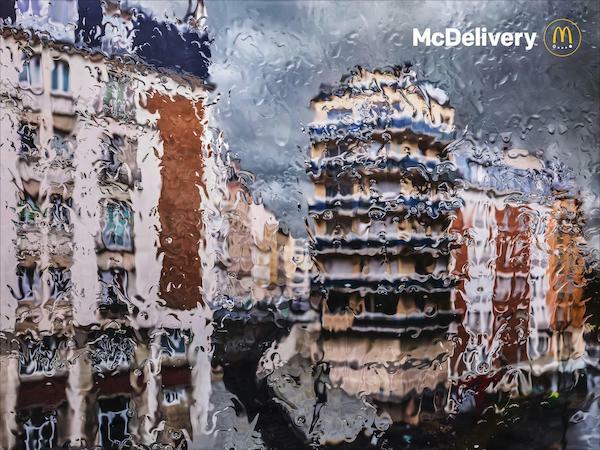 The restaurant has partnered advertising agency TBWA \ Paris to produce a surreal campaign portraying a customer’s desire for simple comfort food during rainy days. The photographs, shot by Roberto Badin, depict diners’ point of view when cooped up at home with a hankering for a burger and fries. 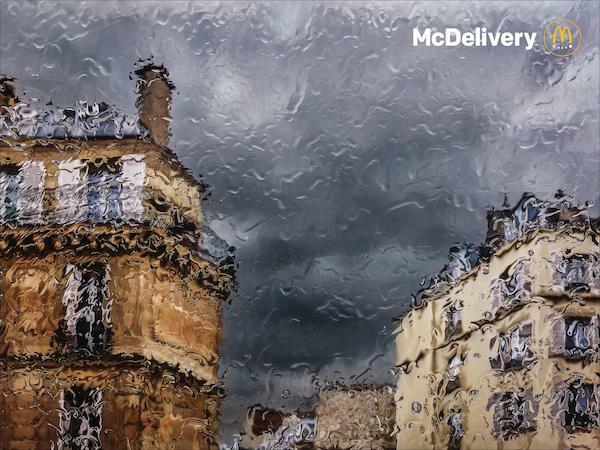 The delicate swirls of old-timey architecture and stormy skies through rain-soaked windows are reminiscent of French Impressionist paintings. 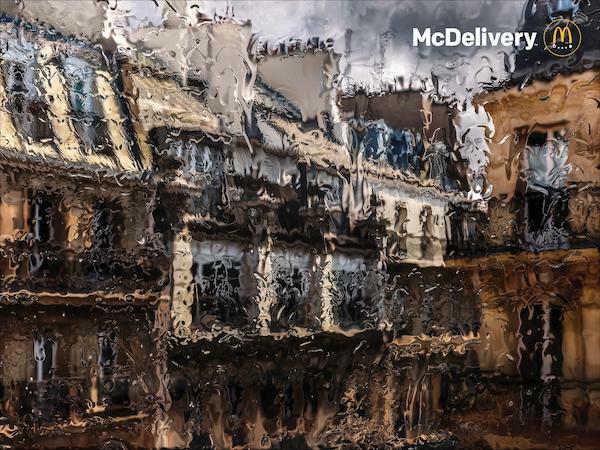 Take a look at his stunning work for McDonald’s France below. Badin is recognized for his book, Inside Japan, where he connects the dots between architecture and still life.